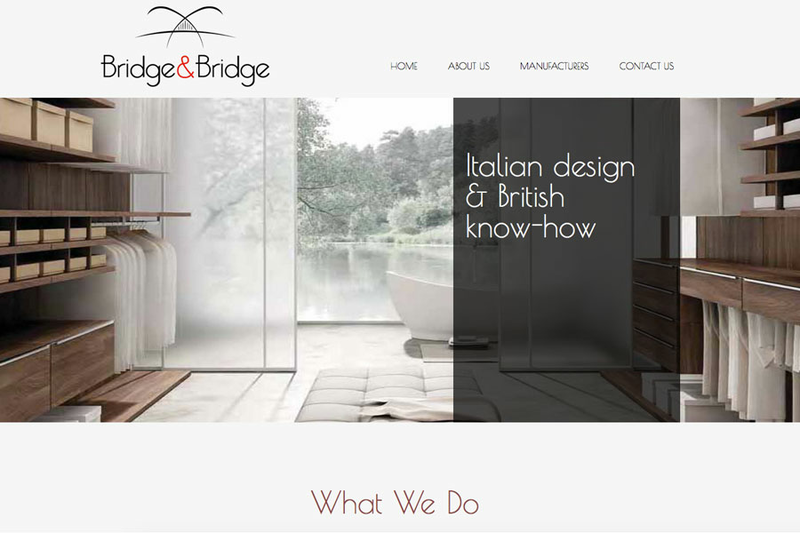 This week's website of the week goes to Bridge&Bridge. Bridge&Bridge is your gateway to the world through the development and management of new markets. Senior Project Manager Andy started by creating a fully responsive website, using full width panels, slide show header with a grey transparent caption and interactive hover over effects. The website features a minimalist colour scheme, featuring white, black and red. This is in keeping with the clients branding as seen in their logo design. The transparency on the slide show and the hover over boxes use the black in a softer way instead of it being a harsh contrast. 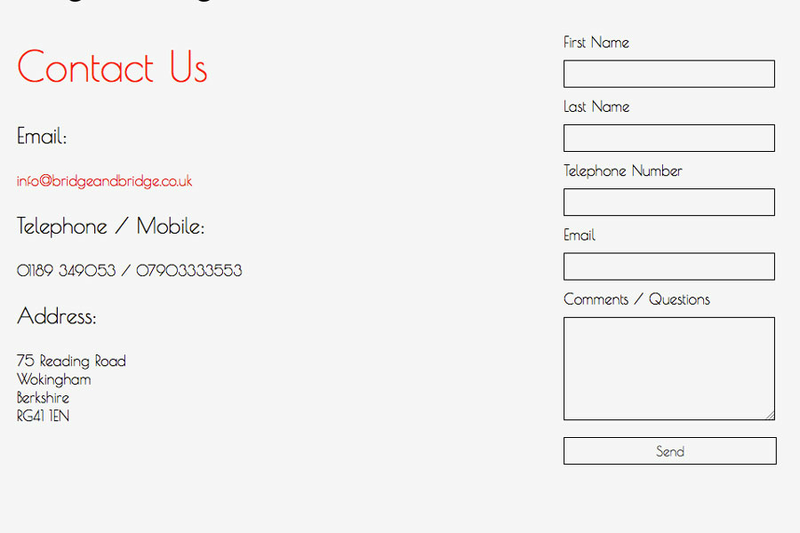 The website features a website form for people to fill out for enquiries. There is a red call to action button to access this page with a Google Map and contact details listed for those wanting to get in touch. The pages are styled with a consistent theme, and follow the layout of the home page. Because of this, the website comes across as very elegant, and the font means that it stays modern looking without becoming too formal. 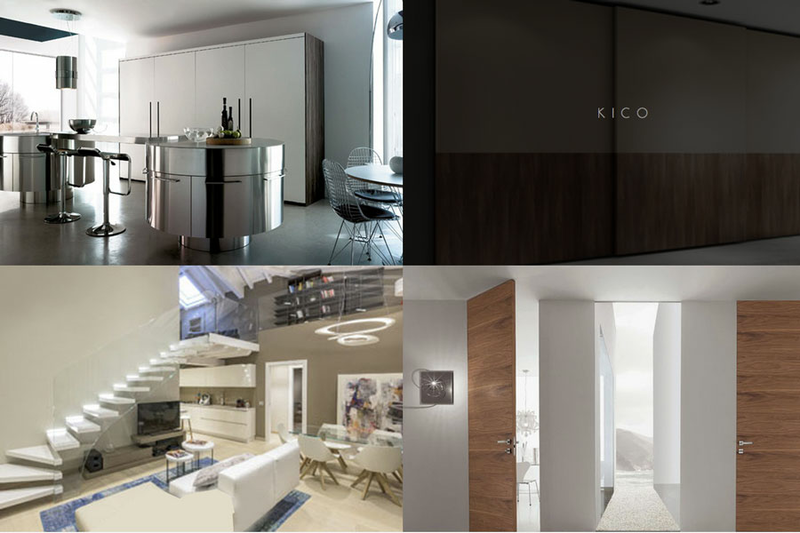 The website uses well chosen imagery that compliments the website design. The images draw out colours from the logo also such as the stainless steel, splash of red in the office image and more. Good imagery is essential when it comes to creating a website that has impact.